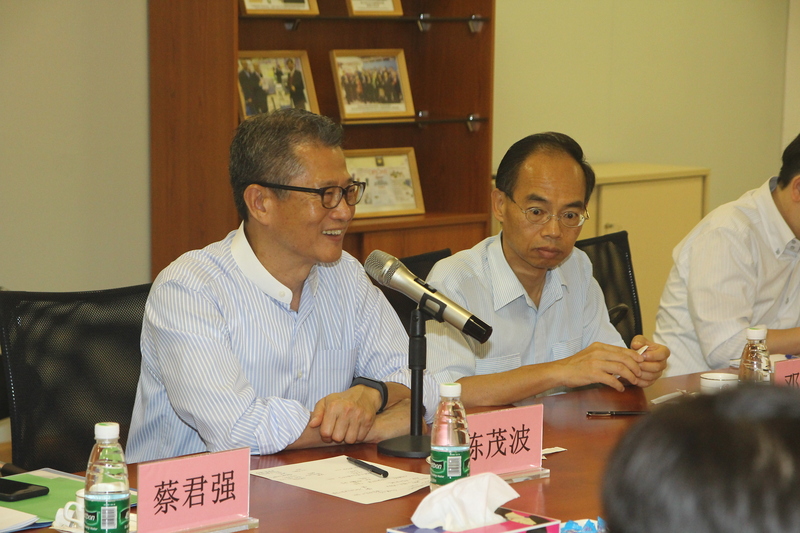 On September 13, 2018, Mr. Paul Chan, the Hong Kong SAR Financial Secretary and Mr. Albert Tang, the Director of Hong Kong Economic and Trade Office, Guangdong, together with Mr. Yu Jinfu, the Deputy Mayor of Huizhou, Ms. Shao Jin, the Director of the Liaison Office of Hong Kong and Macao Affairs Office, the People's Government of Guangdong Province, Mr. Yan Wensheng, the Member of the Standing Committee of Huizhou Daya Bay Economic and Technological Development Zone, the Director of the Two Committees, Ms. You Xiaohui, the Deputy Director of Hong Kong and Macao Affairs office of Huizhou and other officials visited Ka Shui Technology Park in Daya Bay, Huizhou. 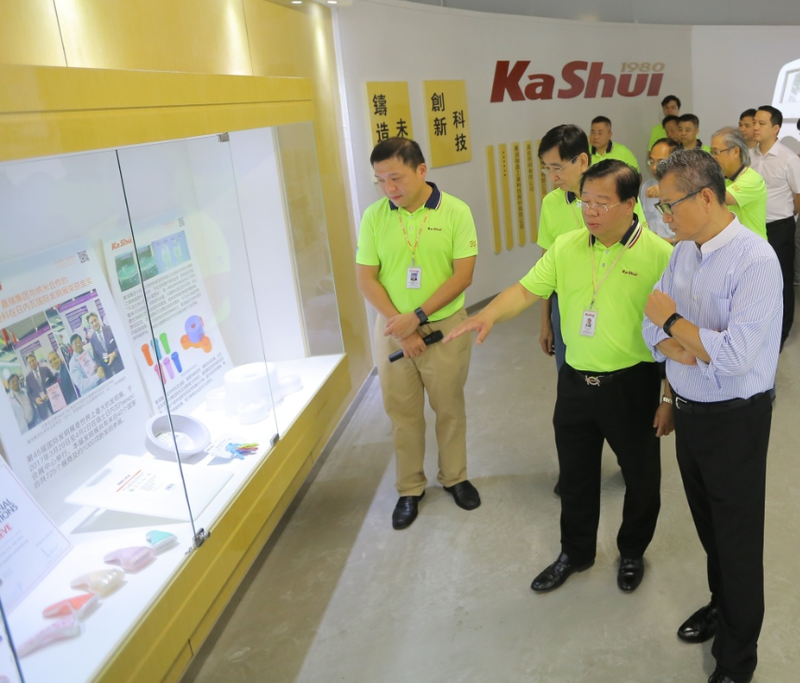 Accompanied by Mr. Lee Yuen Fat, the Chairman of Ka Shui Group and the management of the Group, Mr. Chan and the officials visited Ka Shui Industry and Culture Centre, Data and Operations Centre, Smart Foundry Light Alloy Innovation Center and large-scale die casting production lines. Mr. Chan learned our Group is working on innovative technology in light alloy die casting, Industrial 4.0 data management, the application of die-casting technology in light weight vehicle and so on. 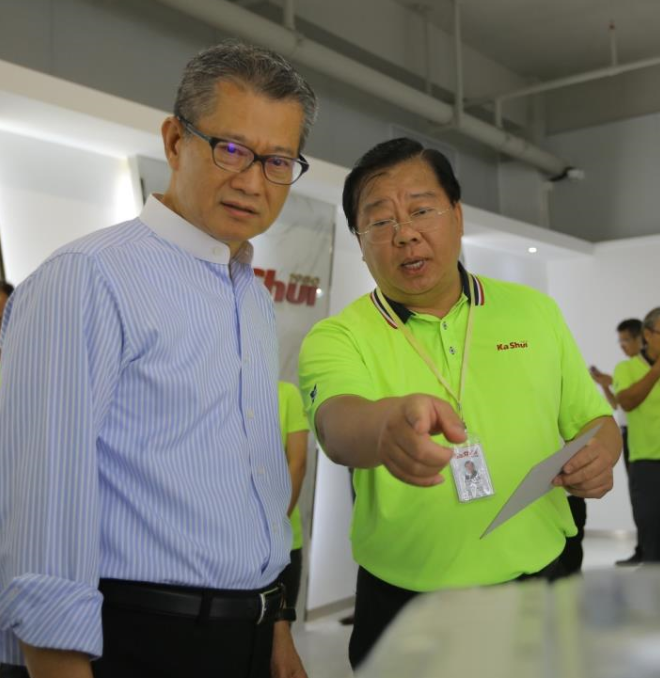 During the briefing session, Mr. Lee shared that Industrial 4.0 is the trend for industry development to strengthen company’s core competence, provide excellent products more efficiently and enhance the skills of our staff members. Therefore, our Group will persist in the execution of Industrial 4.0 strategies. Meanwhile, our Group is focusing on the development of high effective light alloy and die-casting technologies, and also proactively promoting the development of light weight vehicle. 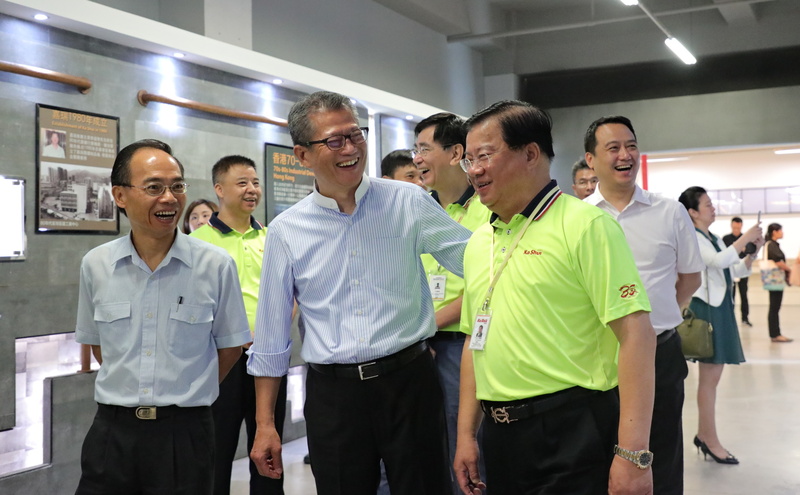 Mr. Chan agreed that development of new energy vehicle is future’s trend and he recognized Ka Shui Group’s support to the participation of the sixth-generation solar-powered car - SOPHIE VI, which was developed by Hong Kong Institute of Vocational Education (IVE), in the World Solar Challenge 2017 in Australia. It also shows our support to engineering students in Hong Kong for their innovations and R&D. 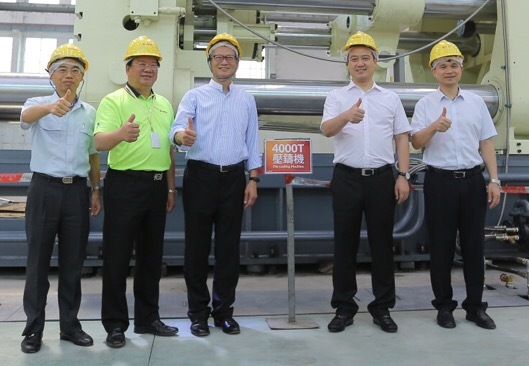 Mr. Chan visited our 4000 tons large-scale light alloy die casting machine and he supported and recognized the strengthening of automation and production capacity of the company. 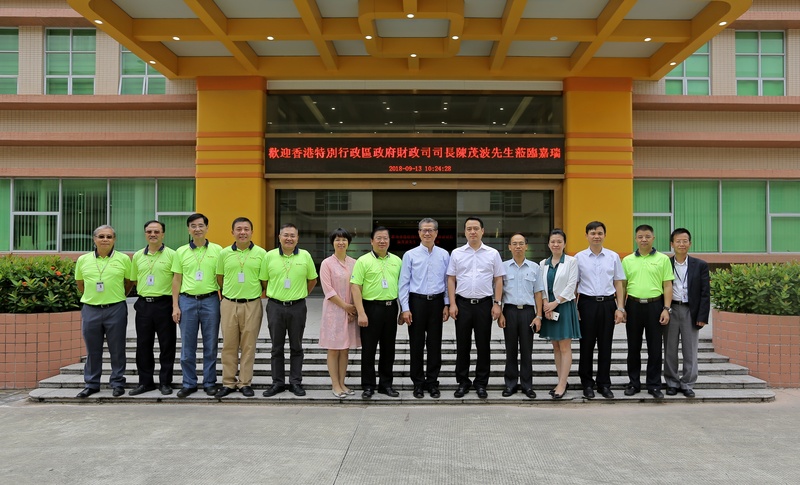 Our Group strongly appreciates Mr. Chan, the Financial Secretary, Mr. Yu Jinfu, the Deputy Mayor of Huizhou and other officials paid us a visit. Our Group believes that we will have better development and opportunities brought by further collaboration of the Guangdong-Hong Kong-Macao Greater Bay Area.